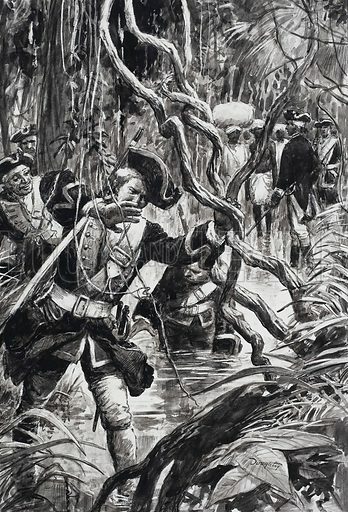 Clive's long march through the swampy marshlands and jungle was an epic in itself. Original artwork for the illustration on p15 of L&L no. 551 (5 August 1972). Available worldwide for immediate download up to 3,298 x 4,851 pixels.